A cake for FUN! | Cake, Baby! 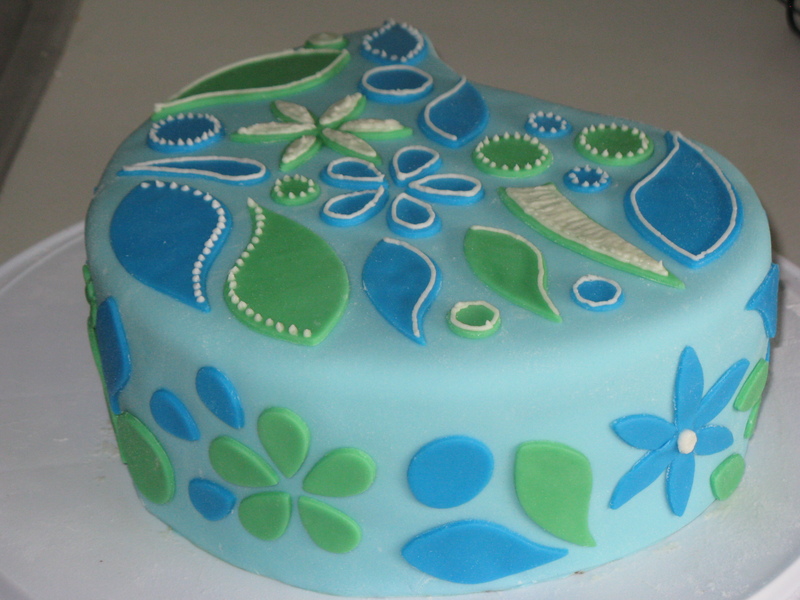 August 2010: I had a lot of leftover fondant from Kate’s cupcakes, so I made this cake for a family get together. I had seen some beautiful cakes online that had piping details on the fondant, so I thought I’d give it a try. I liked the way it turned out, and it was tasty too!